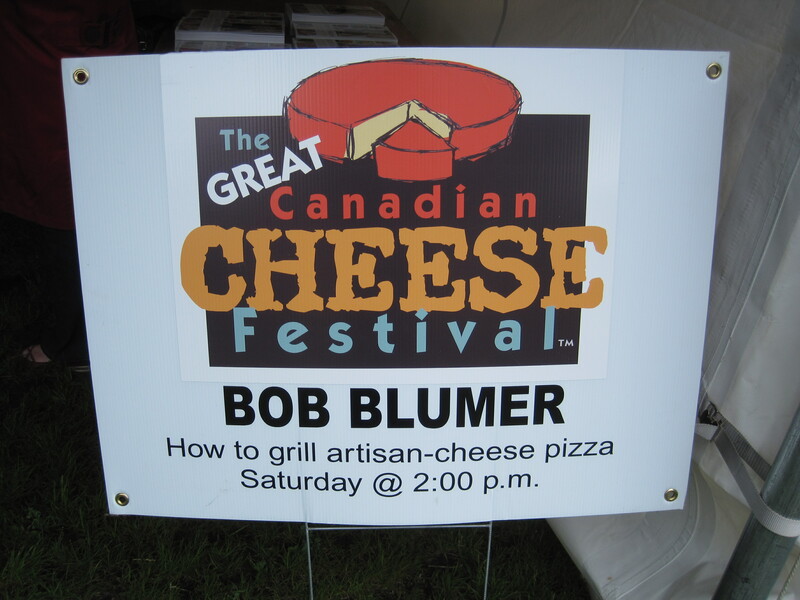 Ed, Krystal, and I attended the second annual Great Canadian Cheese Festival on June 2, 2012. It was held in Picton, Ontario. We enjoyed the Artisan Cheese and Fine Food Fair, where vendors had samples for tasting and products for purchase, and the Food Network celebrity chef Bob Blumer’s how to grill pizza demonstration. (It’s too bad that I wasn’t able to see the other celebrity guest – Kris Holden-Ried from the tv show, Lost Girl.) We tried more cheese than we could remember. Other available products included chutneys, condiments, gourmet olive oils, cookies, and sausages, etc. We had a great time at the Great Canadian Cheese Festival and I discovered several new favourite products (see below for the list). The festival’s program also included seminars, tutored tours, cooking classes, and a gala. 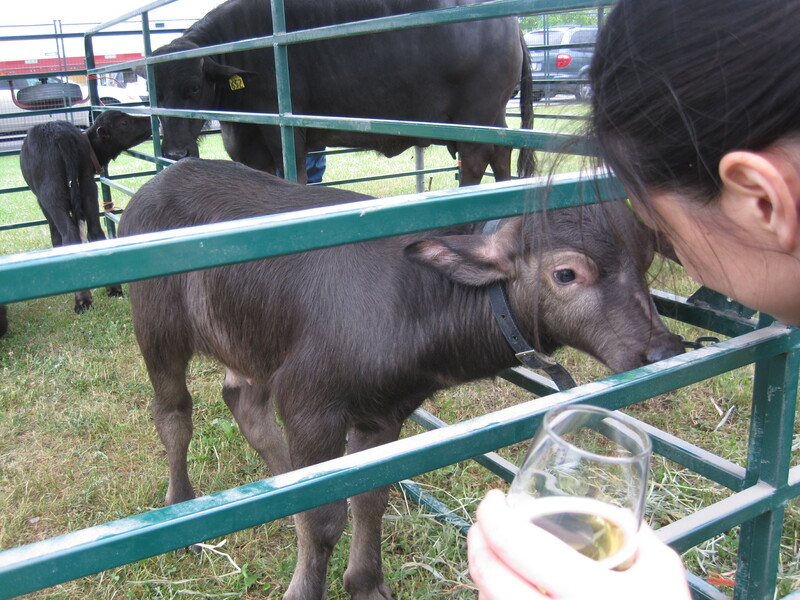 Krystal’s favourite part of the festival was the opportunity to pet water buffalo, an adult female and three 2-week old calves. We all fell in love with the water buffalo. They are surprisingly large and social. One of the calves kept trying to get Krystal to chase him and play with him. The farmers that we talked to said that the water buffalo follow them around like dogs. I’d love to make a trip to Stirling, Ontario to see the water buffalo farm. Also, if you’re planning on attending next year’s Great Canadian Cheese Festival, I highly recommend that you explore Picton while you’re there. Picton is a quaint, small town that will surprise you with how much it has to offer. It is home to Sandbanks beach and sand dunes (Provincial Park), great wineries, the best cidery, and Canada’s leading green cheese factory (Fifth Town Artisan Cheese Co.). My favourite Picton winery and cidery are listed below. Picton also has some cute shops downtown. Be sure to check out Cooke’s Fine Foods if you like imported and gourmet foods. I’ve been to Picton a few times now, and I’m already planning my next trip back. Their water buffalo are naturally raised. Milk produced by water buffalo is sweeter (according to the farmer), whiter in colour, and higher in butter fat content than cow’s milk. I purchased more from this vendor than all of the other vendors combined. Their mozzarella is the freshest tasting cheese that I have ever had. It is very mildly flavoured and very lightly salted – perfect, in my opinion. I am absolutely in love with (and addicted to) eating this cheese as is, straight from the fridge and cut into cubes. This would make the best insalata caprese (salad made from fresh water buffalo mozzarella, gourmet cherry tomatoes, fresh basil, extra virgin olive oil, sea salt, and freshly cracked black pepper). But it’s also a great melting cheese. In fact, Bob Blumer used this on one of his demonstration pizzas, and the cheese was surprisingly stringy (in a good way, of course). 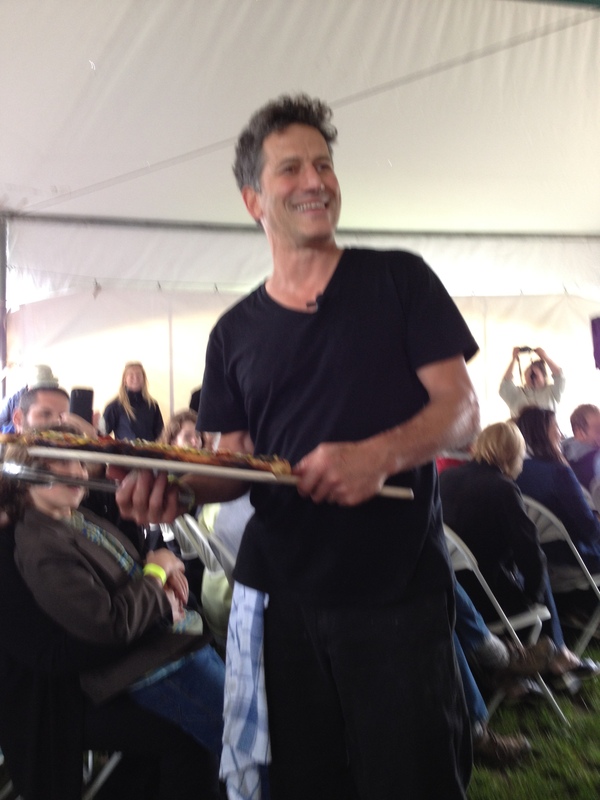 [On a side note, Bob Blumer used le riopelle de l’isle cheese for his other pizza, which was also among our purchases.] 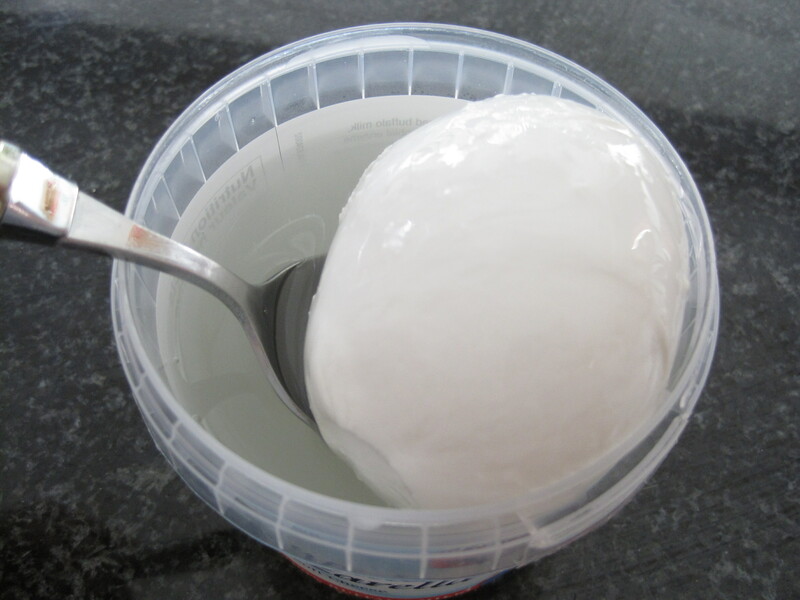 Although the texture of water buffalo mozzarella is perfect for melting, it could easily be overpowered in flavour, so I think it would be best suited for simpler, milder, dishes. Bob Blumer used it on his margherita pizza and it worked beautifully. 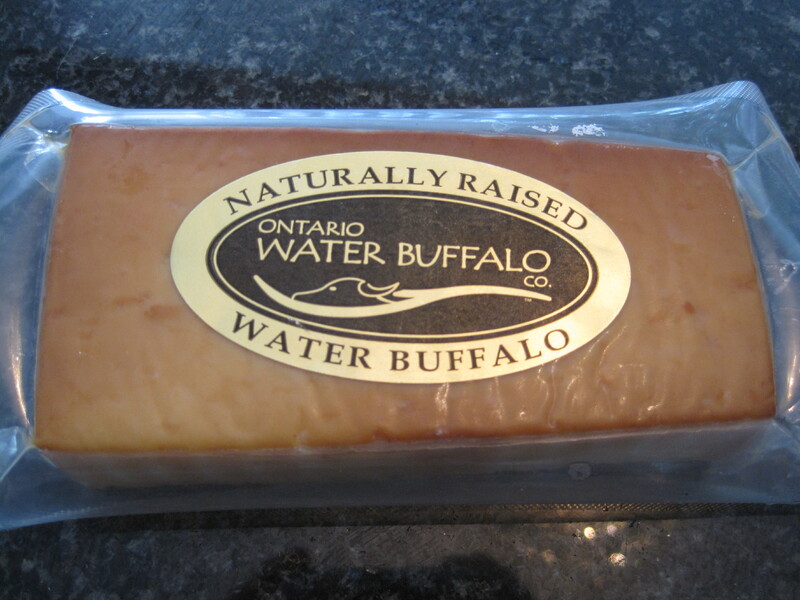 To the company’s knowledge, they are the first and only ones to make smoked water buffalo mozzarella in Canada. It has the best smoky flavour that I have ever tasted in a cheese. The thin, smoky rind surrounds a soft, white interior. I’ve used this in meat sandwiches, on crackers, and on pizza. Their jerky is good and their pepperoni sticks are the best I’ve ever had (photos not shown). I hope that I will have the opportunity to try all of this company’s products soon. 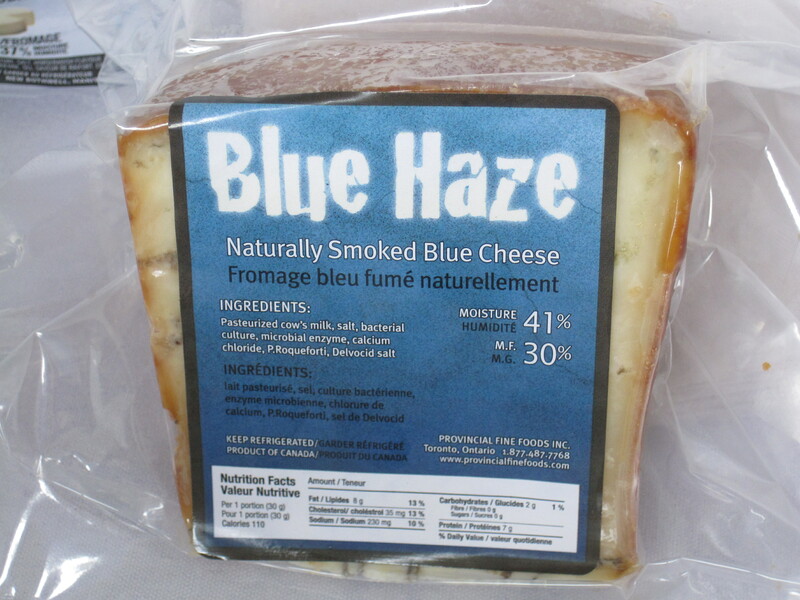 The Blue Haze smoked blue cheese was delicious. It was smoky, soft, not too salty, not too sour, and it had great, relatively mild, blue cheese flavour. This was my first time trying a smoked blue cheese, and it was by far, the best blue cheese at the festival. Waupoos Estates Winery is in Picton, Ontario. They make my favourite local wine, Honeysuckle. Honeysuckle is a medium-dry, light-medium body, white wine made from a blend of vidal, chardonnay, and seyval. I’m planning a trip to the winery this summer to eat at their popular Gazebo Restaurant, where my friend, Scott Royce, is the head chef. Update: Please note that after the festival, I bought bottles of the Waupoos cider and discovered that it did not taste nearly as good as the cider that was served out of a keg. 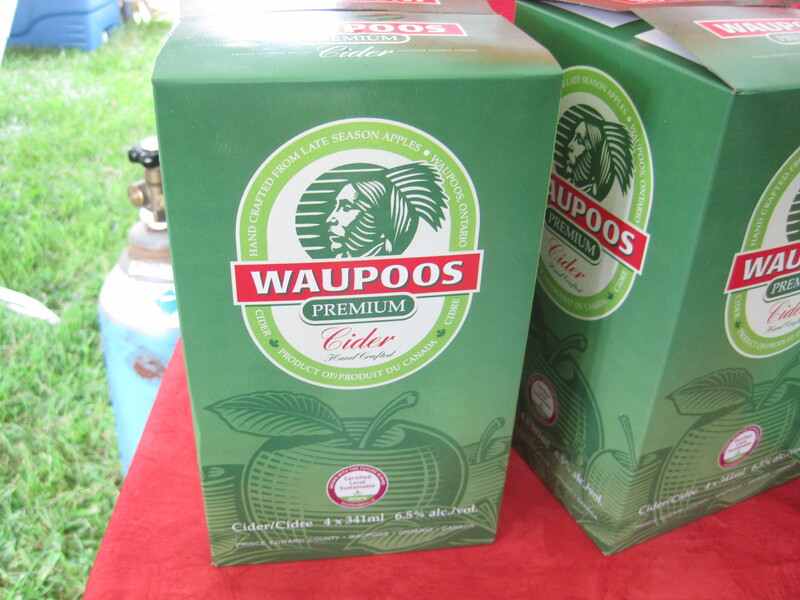 Waupoos Premium Cider is the absolute best alcoholic cider that any of us have ever had. We lost track of how many tasting tickets we spent on it at the festival. It is made from Prince Edward County late season apples and you can taste the natural apple flavour. The draft cider is crisp, refreshing, not too sweet, and much too smooth for my own good (6.5% alcohol content). 🙂 This cider deserves its own post. I’m planning a trip to the cidery this summer, so that I may try their other products (although we did not like their raspberry cider nearly as much). I feel that this cheese is noteworthy, because it was Ed’s favourite and Ed doesn’t usually like cheese. 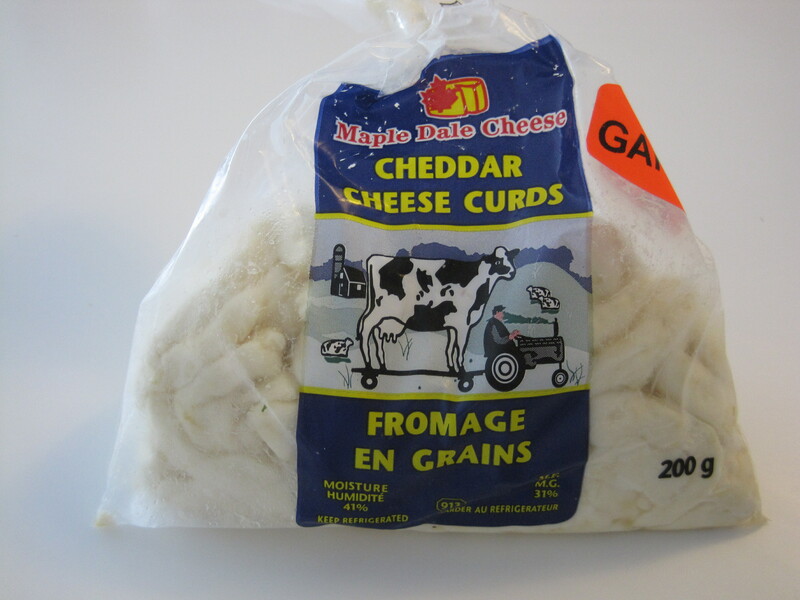 He likes that the cheese curds from Maple Dale Cheese are not squeaky, and he loves the strong garlic flavour. We’ve been eating the garlic cheese curds as a snack and using them on pizza with other cheeses. These would make a fantastic poutine. I have to disagree with you about the cider, though. Waupoos is alright, but I hold that the very best is Woodchuck (specifically their 802, although their Amber is also quite nice). If you’re curious, it’s a US cider, made in Vermont. If you’re ever in New York state, you can usually find it at the Walmart/liquor store. I am SO glad that you told me that! I will be in NYC in a few weeks. I will definitely try to find Woodchuk 802 and Amber to try! I’m pretty sure I’ve tried Woodchuk before, years ago, but I don’t really remember it. Hey squishyfishy, thank you again SO much for recommending Woodchuck cider… you were right. THAT is the best I’ve had! Man, wish they sold it in Canada!!! Thanks again!